Q: How can I know my topic is eligible for funding? A: Please consult our Grants Overview page. If you have further questions write to the grant officer of the Foundation at grants@leakeyfoundation.org and provide a brief description of your project. Q: I won’t be advanced to candidacy (ABD) until after the grant deadline. Can I still apply? A: The grant officer will need to make a determination of your eligibility. Please email grants@leakeyfoundation.orgexplaining the circumstances of your status. A: The majority of the Foundation’s Research Grants to doctoral students are in the $3,000 to a maximum of $15,000 range. Please note: This number reflects a change from $13,500 to $15,000 for our Fall 2014 cycle. The limit of funding for a single proposal submitted by a post-doctoral applicant or a senior scientist is $25,000. Please note: This number reflects a change from $22,000 to $25,000 for our Fall 2014 cycle. Q: I won’t have my PhD until soon after the grant deadline. Is my request for funds limited to $15,000? Q: I received a previous award from The Leakey Foundation. Am I eligible to apply for another? A: Yes, as long as you are fully compliant with the terms of your prior award. Q: What types of projects does The Leakey Foundation support? 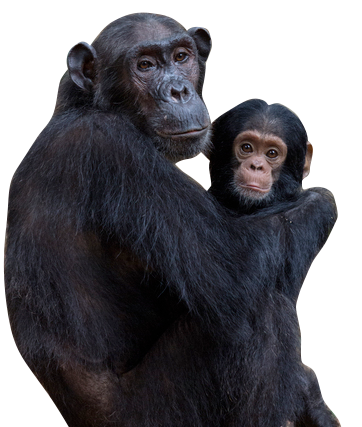 A: The Leakey Foundation exclusively funds research into human origins, including paleoanthropology, genetics, primate behavior and the behavioral ecology of contemporary hunter-gatherers. Other areas of study are generally not considered. A: Advanced doctoral students and PhDs. High school and undergraduate college students are NOT eligible. Q: Does The Leakey Foundation offer scholarships for undergraduate and graduate studies? Be enrolled in a doctoral program with all degree requirements fulfilled other than the thesis/dissertation. A: No. We do not award directly to individuals. Q: How much can my institution deduct for administrative costs. A: Charges for overhead, administrative or indirect costs are not allowed. A: Research Grants have two application cycles each year, with deadlines falling on January 10th (Spring Cycle) and July 15th (Fall Cycle). Decisions for the Spring Cycle are announced in mid-May. Decisions for the Fall Cycle are announced in mid-December. A: We send notifications via the email address included with your application. We send notifications in mid-May and mid-December. If you haven’t heard by June 1st (Spring Cycle) or December 20th (Fall Cycle), please contact us at grants@leakeyfoundation.org or call (415) 561 4646. Q: Does The Leakey Foundation accept “between-sessions” applications? A: Under most circumstances applications submitted for consideration outside the stated deadlines are not accepted unless a thorough explanation of urgency of the research can be made. A decision on the urgency of the request is made by the members of the Foundation’s Science Executive Committee. Q: Do I have to be an American citizen to apply for a grant or fellowship? A: Qualified individuals are eligible without regard to nationality. Applications must be in English. A: Small grants cover research expenses directly related and essential to the project (i.e., travel, living expenses during fieldwork, supplies, research assistance, and other relevant expenditures). Aid is not offered for salary and/or fringe benefits of applicant (or senior project personnel), tuition, non-project personnel, child care, equipment, travel to meetings, institutional overhead, publication costs or institutional support. Q: Is funding available for publishing research results? A: At this time, we have no funding programs for dissertation write-up or any other form of publication assistance. Q: Are there any grant programs for research that are not directly relevant to human origins? A: No. All applicants must explicitly demonstrate that the research is related to understanding human evolution.